Severe Gear® 75W-90 Formulated for the severe operating conditions of today’s pick-up trucks, SUVs, heavy equipment and other hard-working vehicles. Designed to protect when the axles are pushed beyond design limits. Check out the new EZ Pack – Now order in the quart or EZ Pack. 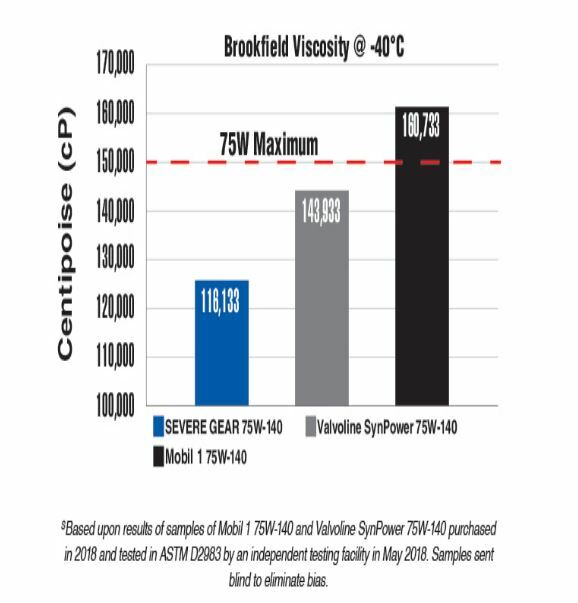 AMSOIL Severe Gear 75W-90 Hypoid Gear oil provides performance beyond that possible with conventional gear oil. 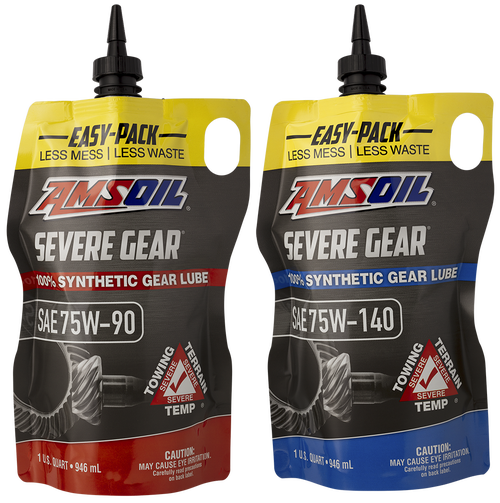 This AMSOIL custom product offers superior gear and bearing protection, better friction and heat reduction, increased efficiency and extended service life. Vocational/Delivery	 Follow the OEM drain interval (miles or hours) for synthetic oil up to 120,000 miles or three years, whichever comes first. Heavy Duty Off-Road	Follow Follow the OEM drain interval (miles or hours) for synthetic oil up to 100,000 miles or two years, whichever comes first.